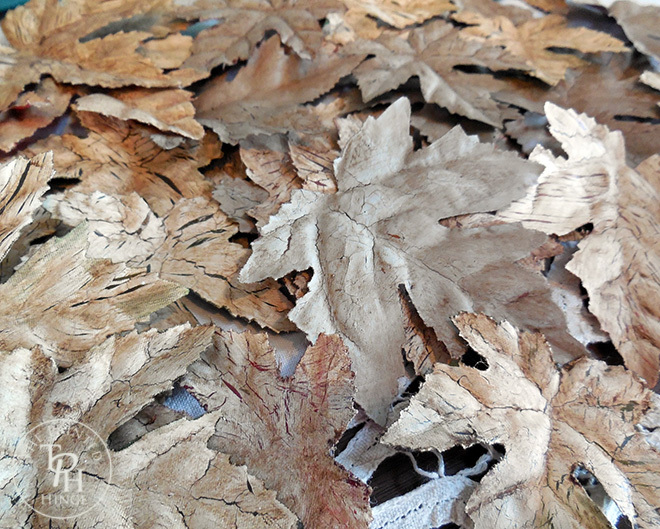 Chalk Paint Dollar Store Leaves Tutorial Part 2 - Antique! 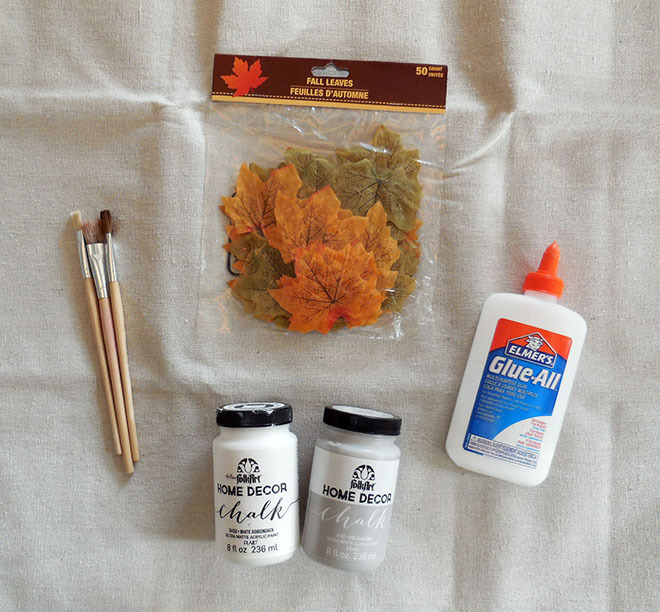 Chalk Paint Dollar Store Leaves Tutorial Part 2 – Antique! This one gets filed under “why didn’t I think of doing this in the first place?” In other words, why didn’t I think of doing this when I was doing part 1? Which, by the way, wasn’t a part 1 until I thought of doing this after I posted it. And don’t even get me started on part 3. Aren’t these gorgeous? Not that the ones in part 1 aren’t pretty in their own right, but these almost look real. Dollar Store Leaves. They are the faux silk ones that come in a pack of 50. 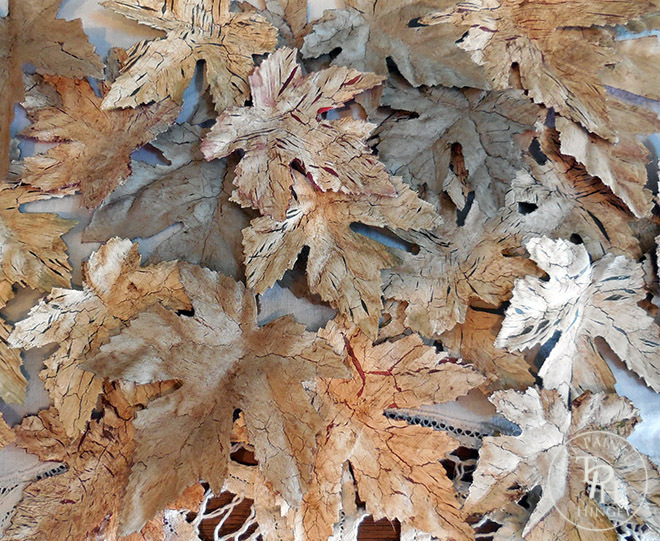 Squeeze Elmer’s Glue onto leaves as shown above. 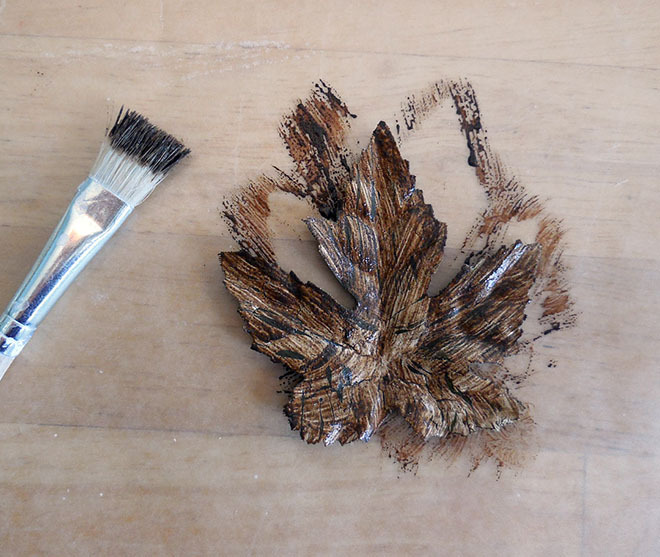 Using a paint brush, spread the glue evenly over the leaves. The thicker the layer the glue, the more crackle you will get in the paint. 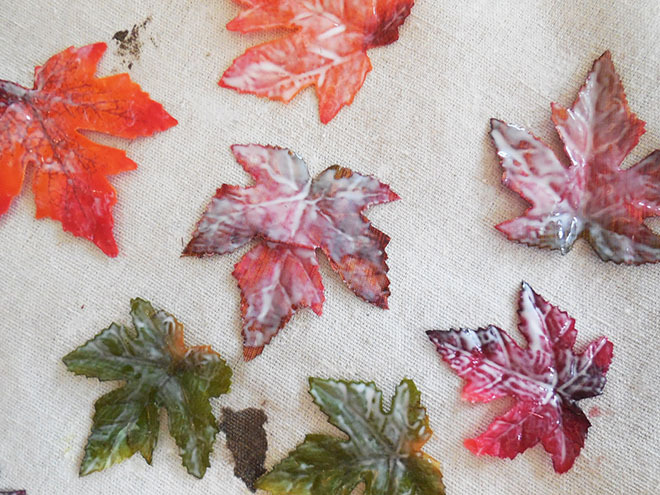 Allow to dry until it’s tacky to the touch. 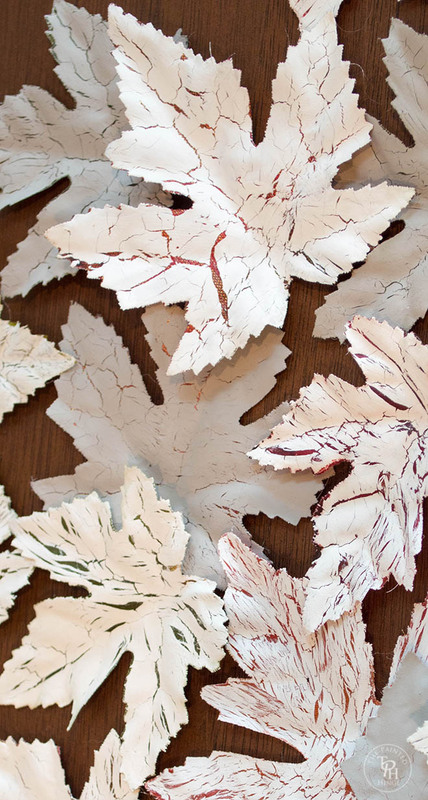 Once the glue is tacky to the touch, give the leaves a good, even coat of paint. 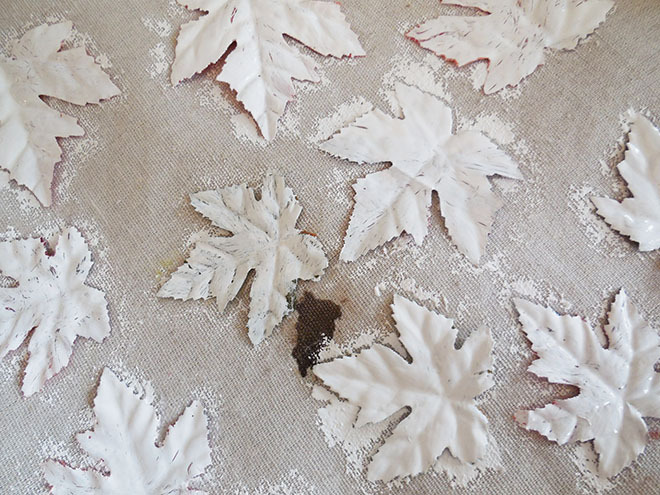 Don’t paint a really thin coat because the color of the leaves will show through after it’s dry, but don’t paint a super thick coat either because you won’t get a lot of crackle. 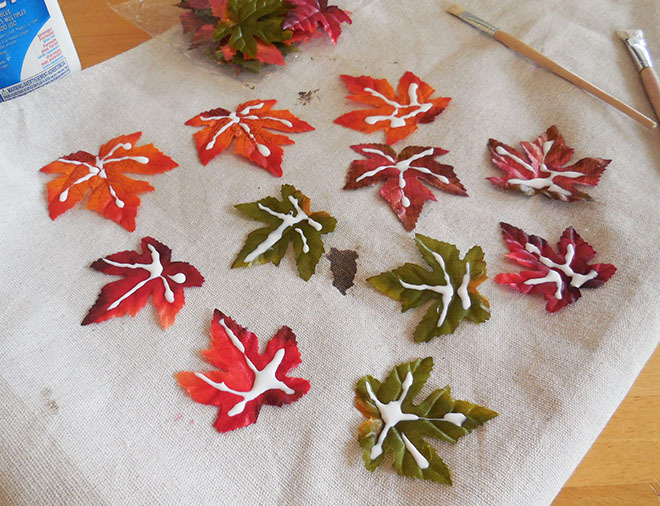 Experiment with a couple of leaves before you paint all of them so you’ll know how heavy the coat of paint needs to be. As you can see above, the crackling starts happening pretty fast! 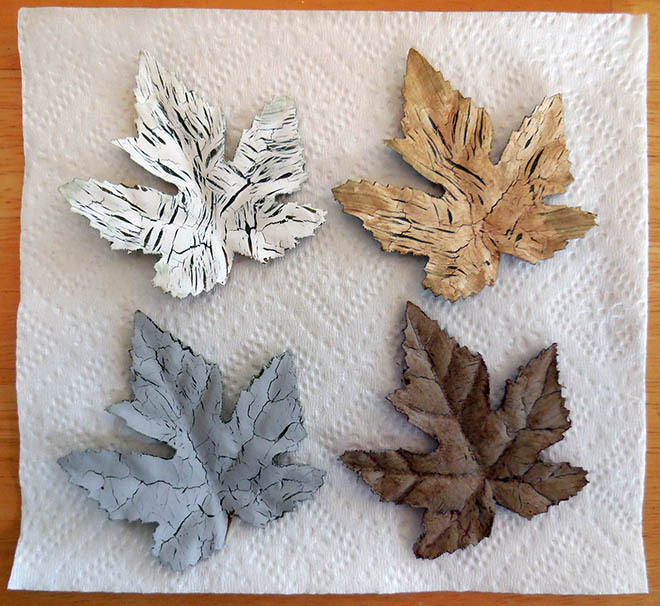 🙂 Allow the leaves to dry completely- usually at least a few hours or overnight. …then immediately wipe the excess wax off with a paper towel or cloth. Allow to dry thoroughly. 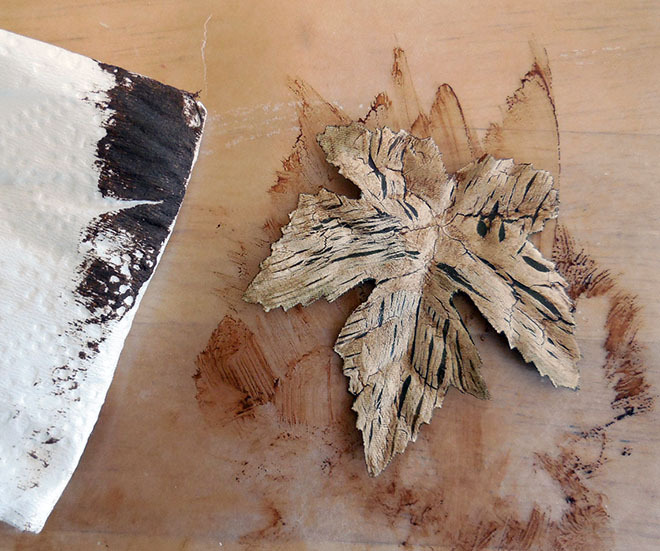 The picture above compares the leaves in white and gray paint with and without wax. I hope you enjoyed this tutorial! Please feel free to leave your thoughts and questions in the comments section below! And don’t forget to check out part 1 and part 3 of this series! Love your idea! Thank you! Haven’t tries as yet but plan to this weekend..Thank you so much..